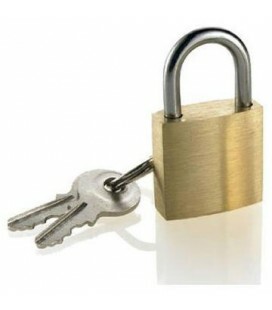 These mini padlocks are solid brass with a brushed finish. Perfect for securing your Lugarti Tarantula Enclosures! 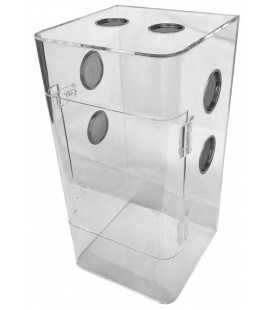 Size: 1.25" x .75"
Lugarti's high quality, crystal clear Tarantula Enclosure boasts 6 flush-mounted Stainless Steel vents, two lockable hasps, polished edges, and a complete bowed front for maximum viewing. There's no other enclosure like it on the market. Size: 8" x 8" x 16" Recommend for Tarantulas 2 1/2" - 8" in length.